Ah, the smell of freshly sharpened pencils. Your post-Labor Day plans may no longer involve memorizing locker combinations or dodging hall monitors, but there's no reason why you can't catch some of that back-to-school spirit. Rise to the head of the class with one of these 14 environmentally inclined backpacks and rucksacks. 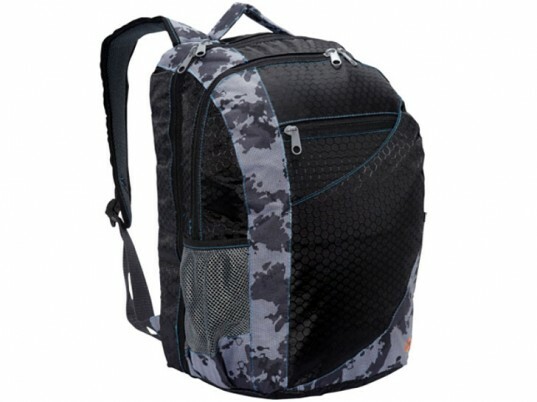 Above, Drifter's camo-clad Back Country Pack ($80.25), made in the United States from 1000-denier Cordura nylon. Tote around a bag that’s sharper than a No. 2 pencil. 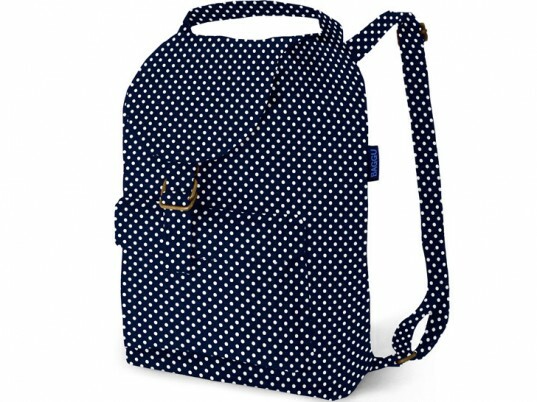 Made of 100 percent recycled cotton duck, Baggu’s Navy Dot backpack features a snap-and-buckle outer flap, adjustable shoulder straps, and an interior pocket for squirreling away mash notes. Too cool for school? Not this backpack. A marvel of Swiss engineering, the “Fringe” by Freitag combines the tough-as-nails durability of discarded tarpaulin with the road-readiness of used seat belts, which means it can take whatever you throw at it, even your former gym teacher. Built in the U.S. of A., Keen’s Harvest III backpack makes one helluva impact. 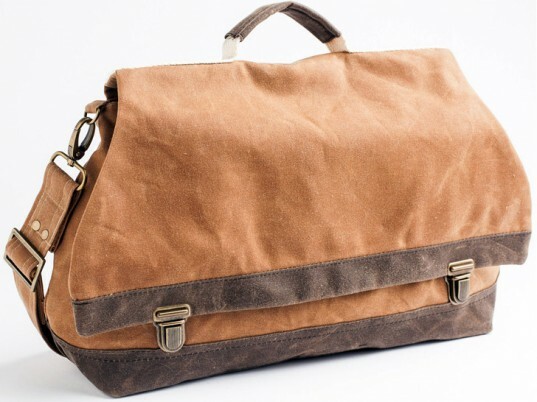 It’s derived from pre-consumer automotive air bags, which the Portland, OR company harvests locally to create its one-of-a-kind carryalls. Extra credit: It’s water-resistant, to boot. Go ahead and call the “Kasum” by Looptworks your new BFF. 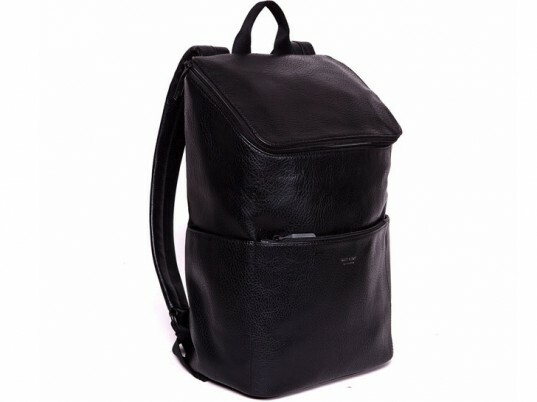 Composed of 100 percent pre-consumer recycled waste, the backpack is virtually indestructible. It even includes a Transportation Security Administration-approved laptop pocket to make airport screenings a cinch. You don’t need to major in geography to peg the Archival rucksack’s origins. Modeled after the traditional canoe pack, the American-made carryall comprises mostly U.S.-sourced materials, including heavyweight waxed-cotton twill and domestically tanned leather. There are plenty of reasons to smile about Makr’s old kit bag. The rucksack is constructed Stateside from predominantly U.S.-sourced materials, including the heavy cotton-duck canvas that gives it its tenacious, no-frills exterior. 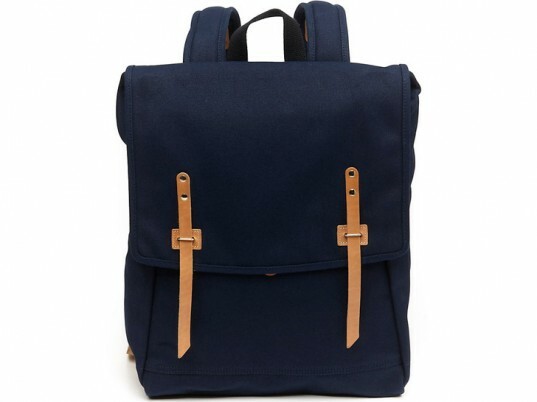 Matt & Nat’s “Dean” backpack only looks like it’s made of leather. Derived from 100 percent recycled nylon, the cruelty-free holdall has room aplenty for a laptop, books, and a brown-bagged lunch—a vegan one, of course. Talk about an overachiever. The “Gabrielle” by Pansy Maiden shape-shifts into four different bags: a satchel, messenger, shoulder, and backpack. Even better? 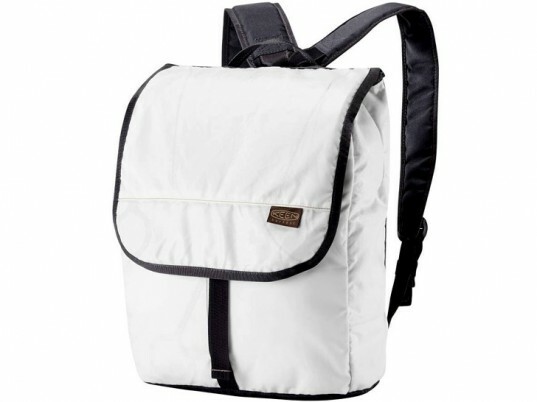 The weather-resistant haversack is completely cruelty-free, which means fewer dirty looks on the way to the locker. Put some pep into your step with the “Campus Quad” backpack by Timberland Earthkeepers. The water-resistant kit consists of 95 percent recycled cotton, plus a smidgen of nylon for durability. Bells and whistles aren’t always a good thing. Utility Canvas’s American-made backpack puts the “fun” in “fundamental”—no fuss, no muss. If it’s credentials you seek, look no further than Topo Design’s classic daypack. The company assembles its wares in a Leadership in Energy and Environmental Design-certified facility in Colorado, complete with a view of the Rockies. We’ll admit. Fleabag’s “Alice Seafarer” qualifies as a splurge, but if we were to put all our eggs in one basket, this would be it. Made in the United States from organic hemp canvas, repurposed fishermen’s net, and water-based inks, the military-inspired knapsack supports net-makers in Louisiana, where business has nosedived since the Gulf oil spill. Tote around a bag that's sharper than a No. 2 pencil. 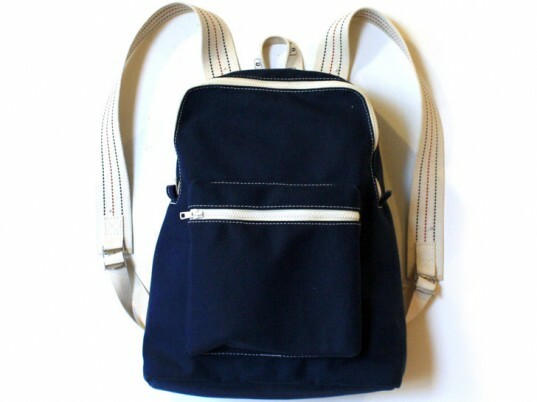 Made of 100 percent recycled cotton duck, Baggu's Navy Dot backpack features a snap-and-buckle outer flap, adjustable shoulder straps, and an interior pocket for squirreling away mash notes. Too cool for school? Not this backpack. 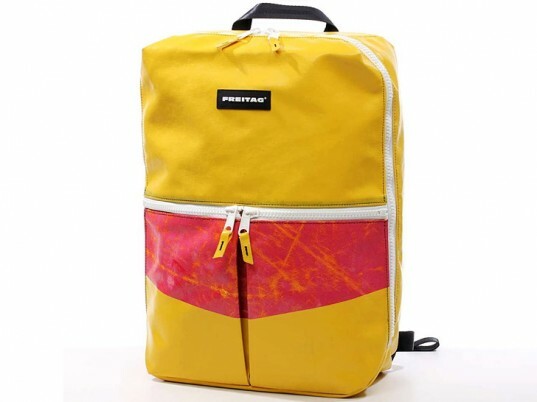 A marvel of Swiss engineering, the "Fringe" by Freitag combines the tough-as-nails durability of discarded tarpaulin with the road-readiness of used seat belts, which means it can take whatever you throw at it, even your former gym teacher. Built in the U.S. of A., Keen's Harvest III backpack makes one helluva impact. It's derived from pre-consumer automotive air bags, which the Portland, OR company harvests locally to create its one-of-a-kind carryalls. Extra credit: It's water-resistant, to boot. Go ahead and call the "Kasum" by Looptworks your new BFF. 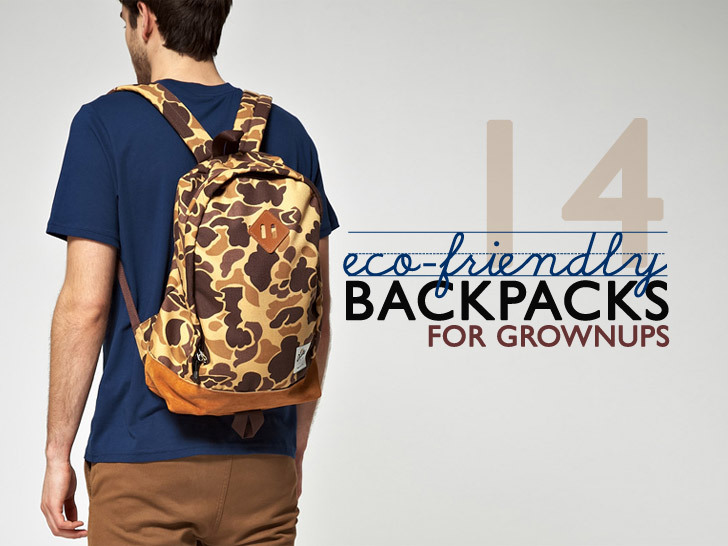 Composed of 100 percent pre-consumer recycled waste, the backpack is virtually indestructible. It even includes a Transportation Security Administration-approved laptop pocket to make airport screenings a cinch. You don't need to major in geography to peg the Archival rucksack's origins. Modeled after the traditional canoe pack, the American-made carryall comprises mostly U.S.-sourced materials, including heavyweight waxed-cotton twill and domestically tanned leather. There are plenty of reasons to smile about Makr's old kit bag. The rucksack is constructed Stateside from predominantly U.S.-sourced materials, including the heavy cotton-duck canvas that gives it its tenacious, no-frills exterior. 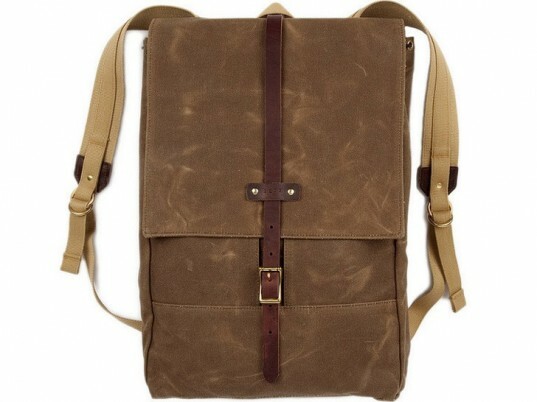 Matt & Nat's "Dean" backpack only looks like it's made of leather. Derived from 100 percent recycled nylon, the cruelty-free holdall has room aplenty for a laptop, books, and a brown-bagged lunch—a vegan one, of course. Talk about an overachiever. The "Gabrielle" by Pansy Maiden shape-shifts into four different bags: a satchel, messenger, shoulder, and backpack. Even better? The weather-resistant haversack is completely cruelty-free, which means fewer dirty looks on the way to the locker. 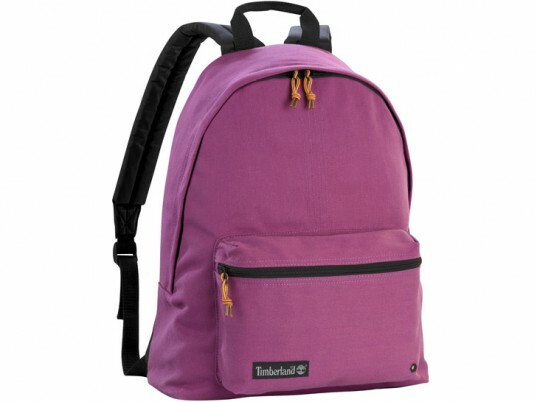 Put some pep into your step with the "Campus Quad" backpack by Timberland Earthkeepers. The water-resistant kit consists of 95 percent recycled cotton, plus a smidgen of nylon for durability. Bells and whistles aren't always a good thing. 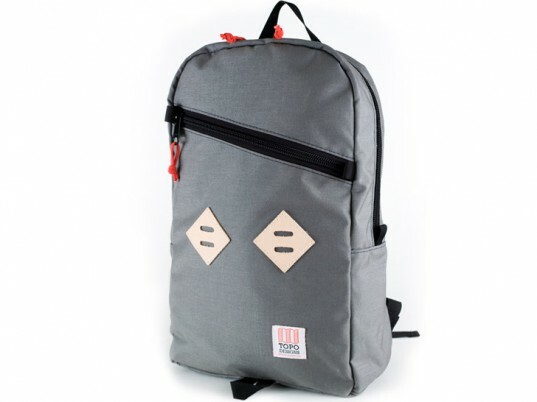 Utility Canvas's American-made backpack puts the "fun" in "fundamental"—no fuss, no muss. If it's credentials you seek, look no further than Topo Design's classic daypack. The company assembles its wares in a Leadership in Energy and Environmental Design-certified facility in Colorado, complete with a view of the Rockies. We'll admit. Fleabag's "Alice Seafarer" qualifies as a splurge, but if we were to put all our eggs in one basket, this would be it. 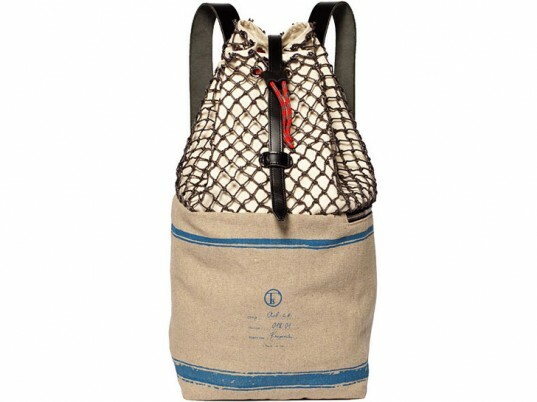 Made in the United States from organic hemp canvas, repurposed fishermen's net, and water-based inks, the military-inspired knapsack supports net-makers in Louisiana, where business has nosedived since the Gulf oil spill.